initial teaser in November, like: If it’s computer-animated, what sets it apart from the original cartoon? Is it a musical? (It is, although oddly only a snippet of “The Lion Sleeps Tonight” can be heard at the trailer’s end.) And what do Donald Glover and Beyoncé Knowles-Carter sound like as Simba and Nala? Sorry, but we’re not quite feeling the love for this one yet. recently turned into a series — not to mention the Jennifer Lawrence movie “Red Sparrow” and the Jennifer Garner TV drama “Alias.” In the trailer, Anna is compared to a Russian doll, and this similarly seems like a copy of a copy of a … you get the point. Finn Wolfhard, the “Stranger Things” actor who also appeared in the clown shocker “It,” voices son Pugsley, and the ensemble also includes Oscar Isaac (father Gomez), Chloë Grace Moretz (daughter Wednesday) and Nick Kroll (Uncle Fester). “The Big Sick,” Kumail Nanjiani plays an Uber driver, but that’s the only parallel between his Oscar-nominated 2017 rom-com and this pedal-to-the-metal action comedy. Nanjiani’s hence-the-title character, Stu, picks up a Los Angeles cop (“Guardians of the Galaxy” behemoth Dave Bautista) and finds himself in hot pursuit of a murderer. The odd-couple setup feels a bit hackneyed, but if the film’s gags are as clever as the trailer’s tagline, “Prepare for the Rideshare of Your Life,” “Stuber” could earn a five-star rating. “Bridesmaids.” And that’s a trip we’ll happily take. 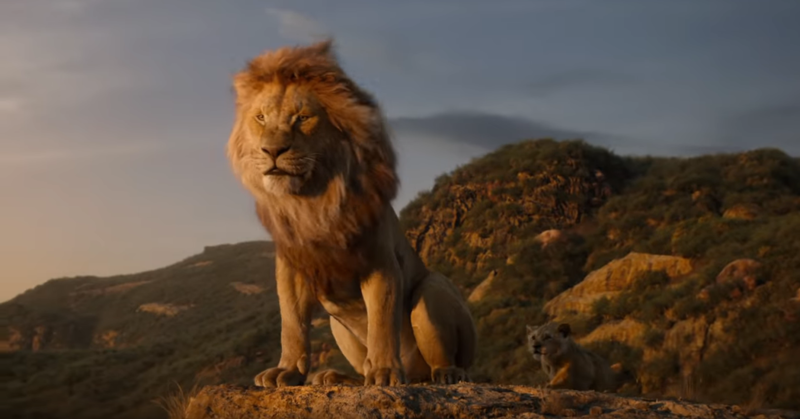 Be the first to comment on "‘The Lion King’ and Other Trailers That Raise Questions for Us"